The eleventh annual AAMC Integrating Quality Conference is a highly interactive, interprofessional conference focused on sharing innovative approaches and strategies for improving health care quality, patient safety, and high-value care through health professions education, care delivery, and research. This year’s theme, Getting on Track to Achieve Health Equity, will advance academic medicine’s national dialogue. 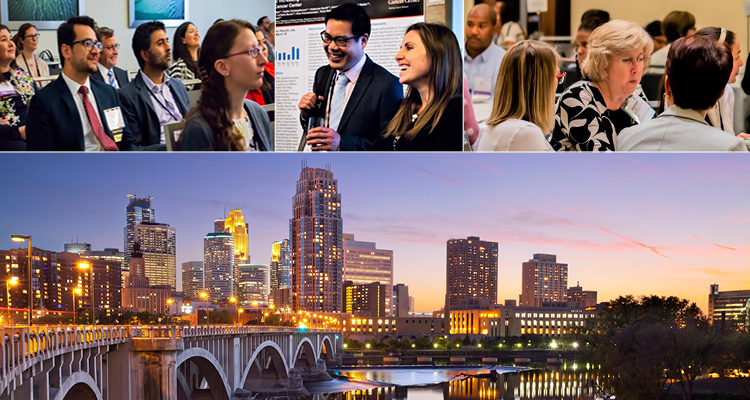 Workshops and plenary sessions will focus on sharing pragmatic clinical, operational, and educational strategies, tactics, and tools for achieving health equity and all domains of quality. An optional pre-conference session on June 5 will target the learning needs of leaders in bridging roles at their institution. Separate registration and fee required, learn more here. This 2-day conference offers engaging plenary sessions, interactive workshops, presentations, and poster sessions. There will be ample opportunities for leaders, faculty, educators, and learners to network and learn new ways to advance initiatives in their institutions, in their community, and beyond. Share this opportunity with your colleagues, join the conversation on social media, or forward a digital postcard. Learn effective strategies for accelerating quality and safety systems improvements in the modern health care setting. Network with thought leaders and professionals and find out the “how-to” behind their quality, safety, and high-value successes. Celebrate your own accomplishments in the field alongside peers, and discover innovations integrating quality, patient safety and value in academic medicine. Leadership roles that bridge the clinical, operational, and educational missions are emerging at health care organizations that provide patient care and educate future health care professionals. AAMC will address the unique learning needs of bridging leaders in a half-day event on Wednesday, June 5 (1-6 pm CT) titled, Leaders that Bridge Clinical Care Quality and Health Professions Education. While the pioneers of this growing bridging leader community are beginning to establish successful practices and demonstrate the value of this role to their organizations, these leaders are now seeking more resources to support their success, facilitate professional development, and share knowledge with peers. More about the pre-conference event.